The winter season brings with it lots of joyous events like Christmas and New Year for most countries. It is really a season to celebrate and enjoy. But for some winter is not the jolliest season out there. We are talking about car owners. Those of you who own a car know that winters can really test your car maintenance habits. If you are not extra careful with your vehicle in winter then you might end up cutting its life short. Why are winters so bad for vehicles? Wet roads, cold morning starts, and damp weather causing your car to rust are certainly not great signs. Can anything be done to prevent your car from damage? Well, that is why we are here. In this article, we will talk about ways to prevent winter damage and rust. There are some different easy methods that you can do to prevent rust of both the underneath, outside and in the cabin. Here are the best ways to keep it clean! The snow in winter covers all the roads and pathways making it difficult for you to drive your vehicle. The civic authorities use salt to melt the ice and clear the road. Using salt works well for the road but it is not good for vehicles. When you drive on salted roads, the salt sticks to your vehicle, and the chances of corrosion are increased. Therefore, it is best to get a regular wash for your vehicle. Try not to wash your car out on the driveway as that might prove to be detrimental. Water freezing on your car won’t be a good sight. You should instead go to a dedicated car wash that would have the necessary equipment to take care of your car. Moreover, it is not just the salt that is harmful to the car but it is the water and dirt that mixes up together to harm the floor of the car. You want to prevent ice from accumulating on your vehicle’s body. If there is snow or ice on your vehicle there are higher chances of your car getting rust. An easy to prevent that from happening is by applying an extra layer of wax to the paint. The wax does not allow dirt to stick to the car and prevents rust from developing. The areas where the car is most exposed like the undercarriage and the area near the wheels need special care in winter, so do not forget to give your car a good run just before winter starts. There are many rust prevention products available in the market nowadays that can be applied to the undercarriage of your car. The underbody is the most exposed to salt, water and snow, therefore it is the most prone to rust damage. Getting one coat of rust protection can prolong the life of your car. All cars have drains in specific areas that prevent water from staying in one place. There are drains in the doors and parts of your fender. These drains can get clogged up with dirt or leaves blocking the water from leaving. In turn, these drains do the opposite of their job. Instead of removing water from the body, they block it in and promote rust. The inside of the car also needs to be protected from dampness. When you get in your car you bring some snow or salt with you. This snow or salt might not be in a large quantity but even a small quantity can be deadly. There might come a point where the floor of your car gets rust and then your chassis becomes weak. You need to stop that from happening and to do that all you need s to buy all-weather mats. These mats do not let water, dirt or any other materials reach the floor carpet. This way they protect the floor while also allowing you to remove the harmful contents from the car without damaging anything else. We talked about rust preventing products and how they prevent corrosion under the car. However, we did not mention that these products are a bit expensive. Some of you might not be able to afford an undercoat rust protection. Fortunately, there is a hack for this. We can borrow the expertise of old farmers who used to undercoat their trucks and tractors with used up oil to prevent rust. The used oil serves no other purpose and it cannot be used again in a vehicle so it is used as an undercoat. The oil absorbs all the dirt and salt from the roads and does not allow any of it from passing through to the metal. As long as the metal stays safe from the harmful materials it will stay in good shape. Rust is our enemy but it is easy to defeat. 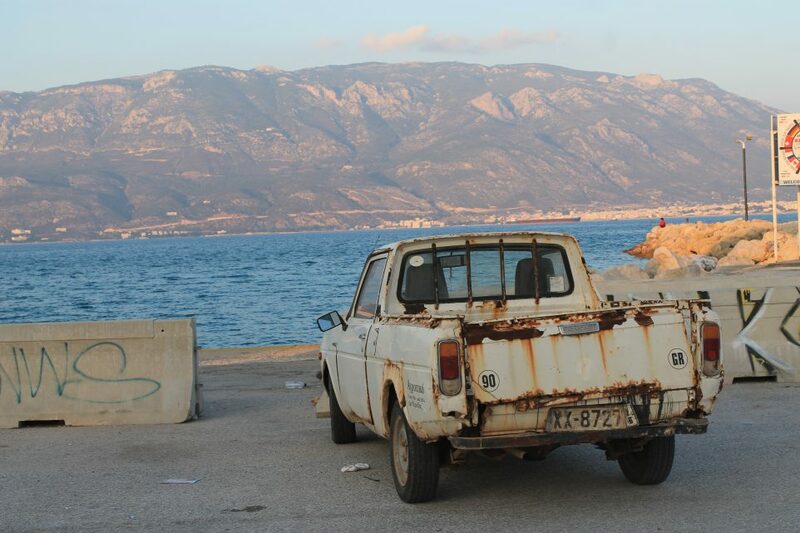 If you are very careful with your vehicle you might never get any rust on it for as long as you own it. Simple acts like washing your car daily or even twice a week can stop rust from forming. Winters are especially critical so you need to be extra careful. It is best if you do not take out your car from the garage at all in winter but if you are willing to risk it we have shown you how to be careful. However, even when you are extremely careful rust can make its way on to your vehicle. Sometimes, there is nothing you can do about it. 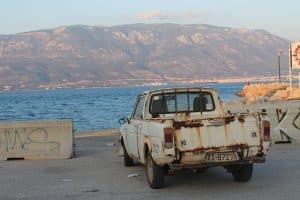 If you live on the coast where there is lots of humidity corrosion is bound to happen and when it does you have no choice but to sell your car and buy a new one. Let’s hope it never comes to that.